D.D. Duncan, Picasso's Picassos, The Treasures of La Californie, London, 1961, p. 269, no. 128 (illustrated, p. 224; illustrated in color, p. 128). The Picasso Project, ed., Picasso's Paintings, Watercolors, Drawings and Sculpture: Spanish Civil War, 1937-1939, San Francisco, 1997, p. 77, no. 37-186 (illustrated). 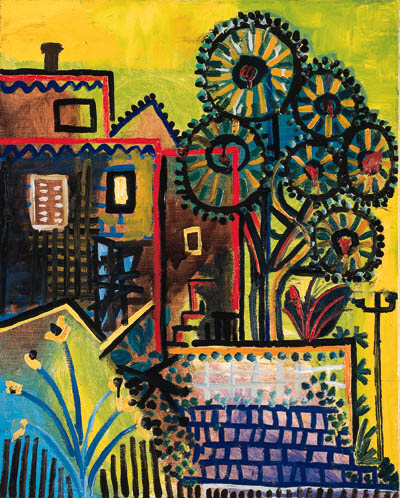 Sandton, South Africa, Goodman Gallery, and Cape Town, South African National Gallery, Pablo Picasso (1881-1973), A Selection of Works from the Collection of Marina Picasso, February-April 1984, p. 39, no. 22 (illustrated in color, p. 28).